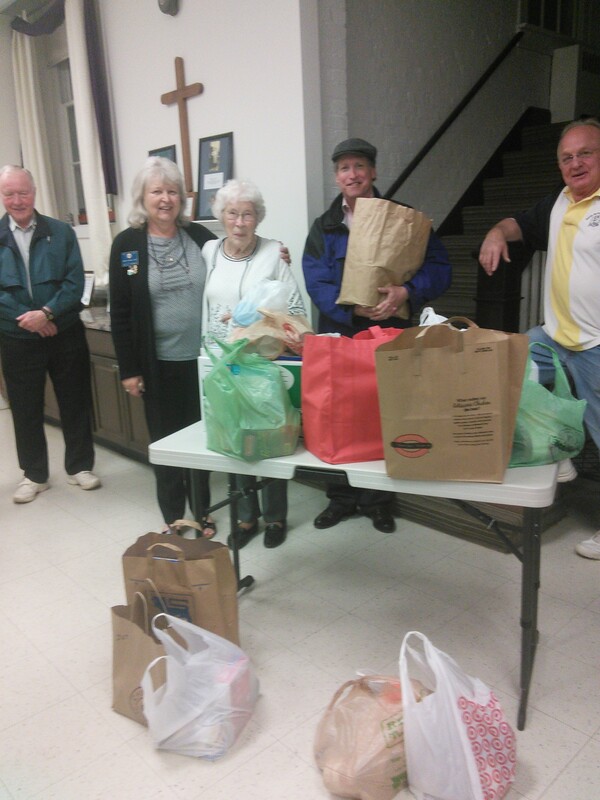 Lions Bob Spiers, Julie Thomas, Doug Farquhar, and Jim Simmel present dry goods they collected to Olney Help representative Marilyn Simonds. At our April meeting, Director of Olney HELP Marilyn Simonds spoke to us about the work they do in the Olney-Ashton-Sandy Spring community. Their food pantry is indispensable when it comes to helping local people who are hungry. Our members filled over 10 bags of dry food for the pantry and we also made a donation to support their ability to provide fresh food as well. Olney Help is always looking for volunteers to help deliver food or take calls. Volunteers work one or two days a month and it is very rewarding. Click the link above if you are interested in helping out. This entry was posted in olney, program, volunteer. Bookmark the permalink.